My Swiffer Sweeper is one of the best tools for quick cleaning around the house. In order to be more Eco-friendly and save money I decided it was time to crochet a dust mop cover for the handy cleaner and floor duster. It's basically made by crocheting a square and adding the ends to the square. The cover will help prevent excess waste and can be washed and reused over again. The first thing you will need to do before crocheting your cover is determine what brand of sweeper you have and take measurements. I was using a standard pattern that was made for a Swiffer but I had to modify if a bit because the pattern I used was not fitting properly. It's always good to keep your duster around to fit the cover to the sweeper as you crochet. 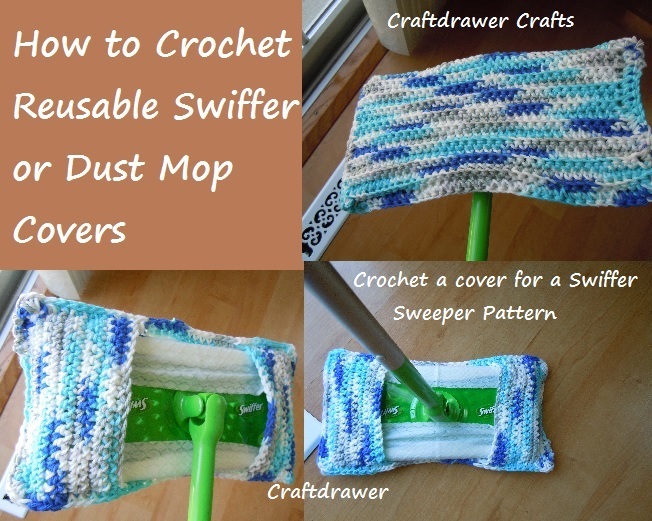 There are lots of free patterns available if you Google free crochet dust mop cover or free Swiffer crochet cover pattern. There are some that can be knitted also but for now here is what you need to crochet one. **Row 2: Ch 1. Working in the back loop only of each sc (this will allow it to stretch, 1 sc in each sc across. ch 1 Turn. Row 1: (RS). 1 sc in 2nd ch from hook. 1 sc in each ch across. Turn. 13 sc. Rep from ** to ** as for Main Piece. Join Sides to the Main Piece: Place 1 Side at each end of Main Piece and pin the outer edges tog. With the RS facing, join yarn with sl st in any corner. Ch 1. Work 1 row of sc around outer edge , work 3 sc in each corner. Join with sl st to first sc. Fasten off. Note: This Pattern can be modified to fit your sweeper. Also, you can turn the cover inside out when one side gets soiled to use the over side. 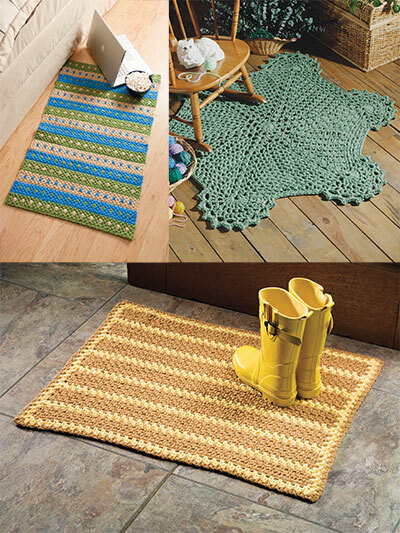 You know by using this crochet it becomes easy for me to clean wood floor at my home.